The Joshua Tree Genome Project officially launches today, with a crowdfunding campaign to sequence the genome of one of the most iconic plants in the American southwest. People who love science, Joshua trees, and the Mojave Desert can help finance the development of a Joshua tree genome sequence through Experiment.com. Discover genes adapted to desert environments. The Mojave Desert contains some of the hottest and driest regions of North America. To survive these inhospitable environments, Joshua trees have an array of physiological and morphological adaptations, from a thick, waxy cuticle on their the leaves, to reduced stomate size and specialized water storage cells. Sequencing the Joshua tree genome will help us find the genes that create these traits, and identify variation in those genes that may allow some Joshua trees to better warmer, drier climates. Understand the evolution of mutualism. Like all yuccas, Joshua trees rely on highly specialized moths, called yucca moths, to move their pollen from plant to plant. Female moths actively collect and distribute pollen after laying their eggs in Joshua tree flowers; and their larvae eat some of the seeds that develop in the pollinated flower. The moths’ exceptionally reliable pollination service compensates for the loss of a few seeds, and Joshua tree flowers exhibit a suit of adaptations that promote active moth pollination while preventing moth larvae from eating too many seeds. Sequencing of a Joshua tree genome would pave the way to identify genes that contribute to these co-evolved adaptations, and help understand how they have changed over time. Plan for Joshua tree’s future. Ensuring that Joshua trees will persist into the future means preserving not only the plants themselves, but also the genetic variation that will allow them to adapt to changing climates and environments. We will use a landscape genomics approach to measure the total amount of genetic variation in different populations, and estimate genetic differentiation between populations. This information will let us identify populations of Joshua tree with the greatest potential to adapt to future environmental changes, and give these areas the highest priority for conservation. Reveal processes of genome evolution. Like all members of the Agavoideae, Joshua trees have a bi-modal karyotype, thought to have resulted from an ancient allopolyploidy event — the combination of two whole genomes by hybridization between species. Sequencing the Joshua tree genome will reveal how genome evolution proceeds following polyploidization events, including the extent of genomic rearrangements among chromosomes of different ancestries, and processes that contribute to diploidization. 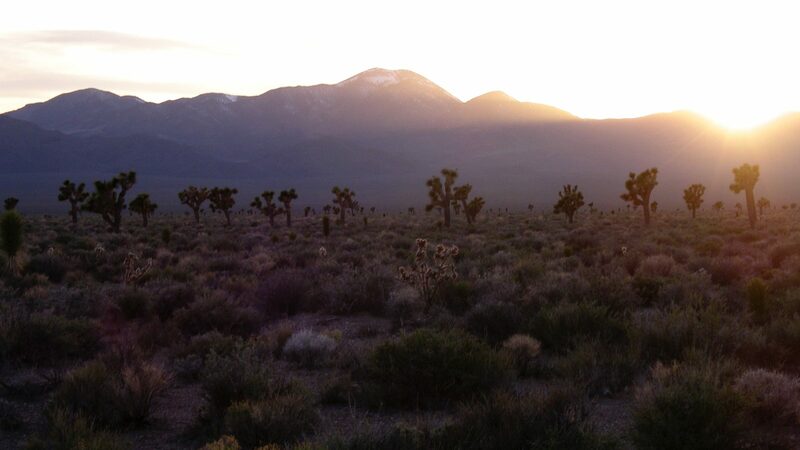 The Joshua Tree Genome Project is a collaboration of ecologists, evolutionary biologists, and geneticists, with the support of major Mojave Desert conservation organizations. You can help sequence a Joshua tree genome by donating to the Project through our Experiment.com campaign, and by spreading the word on Twitter and on Facebook.